Great way to meet friends is to DJ or Host in SL !!! Hi Holly, I would like to invite you to a great Blues club where you are sure to meet new friends because it's a friendly place with a lively local chat and the folks who come are awesome. All the DJs are great and there are sets day from 8 AM and most days until midnight. Here's your Uber http://maps.secondlife.com/secondlife/Tobys Juke Joint/219/240/22 I hope to see you soon! Mardi Gras Fat Tuesday Raucous Celebration!!! 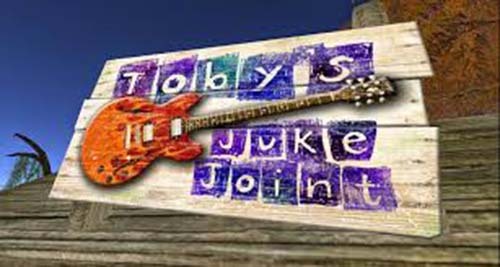 Toby's Juke Joint, a long established and popular Blues Club is hiring experienced hosts and also will train those interested in hosting for our club. Meet great folks, enjoy the Blues, have fun and earn Lindens! 100% tips goes to hosts. BLUES DJs who LOVE their work! Wanted: Hosts with dynamic personalities who LOVE having fun! We start our lives with blues . . . with music. It's our first language. It's the rhythm of the womb. It's your mama's heartbeat inside your head.